In an attempt to preserve a race of people on a planet being bombarded by storms that would kill them, Worf's foster brother violates the Prime Directive, leaving the Enterprise crew in a difficult position. Vorin: Doesn't your village keep a chronicle? Lieutenant Worf: Not in this manner. Vorin: Then how do you teach your children their history? Who their ancestors were, where they come from? Lieutenant Worf: We... tell each other stories. Make up songs. Vorin: Stories change with each person who tells them. This - this will always be the same. Roddenberry's second creation of an elite group exploring space through humanity is a remarkable milestone for not only television but the sci-fi genre itself. As it quips repetitively, it dares go where no one has been before, and analyzes the good and bad of the nature. And it's that wide range of nature that is touched down, in all its hokum that it calls for, the answers are overwhelming to all the questions thrown out to it. Unlike the previous series, it has much more characters to handle which is a double edge sword. On the pro section, it helps writers jump in on diverse categories through them and swoop in as much as material possible through their individual perspective and still keep it all inside a definite and familiar circle. On the other hand, it also is challenging to fiddle around these many characters on screen, especially the amount of new contents and eerie ideas each episode comes up with, it increases the possibility to lean towards flaws. And yes, it has its own limitation, but in its own gullible range and potential, it just simply works. Plus, what's fascinating is despite of being brimmed with these many personas floating about in the space, they haven't allotted any stereotypical specific characteristics to the characters, their species and nature may definitely vary, but a cheesy note is strictly prohibited in Enterprise-D. The infamous Capt. Jean-Luc Picard played by Stewart who is mostly known by this role from his career, is exceptionally well crafted character that is simply nothing but a good leader and add Stewart's performance to that, the outcome is your iconic character that survives decades easily. Sirtis as the consciously enhanced counselor fits perfectly in the ship and the makers makes sure either they keep her up front to notify the shady part of the plot or distracts her wisely to advance the plot. Frakes, once again, a competent leader and warrior that is more explored into love affairs while Dorn as a hot head and Burton as the most adapting and willful learner on the ship helps make the environment more engaging and realistic. Spiner as the android, Lt. Commander Data, who means nothing but business, unfortunately, is the guy that means the least amount of business, often relied upon for the humor, he might be explored thoroughly but is rarely projected with sincerity. Personally, I prefer Stewart's mellow equation with Wheaten who looks up to him as a father figure and adds the right amount of emotion to it, McFadden's friendly relation too helps on spicing up this dish. The guest cast coming in- often playing the antagonist- invests equally and perpetually to this scoreboard. Advancing further than the previous series did, this journey also brings in rich traditional rituals and their own quirky references to the table. Star Trek: The Next Generation is your typical space ride, floating without any control it grabs everything like a child, and in its innocence and honesty it is one breathtaking ride. 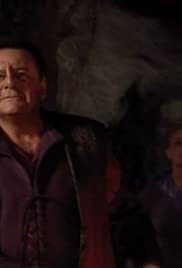 The seventh act of the series seemed like an overstretched material where the writers were clearly running out of ideas, although to balance it properly, there are few brilliant concepts that defines the ingenious of Star Trek. If I look back and see some of the dull episodes, somehow most of them turn out to be an episode set in historical period piece that actually comes with a lot of setup of the characters and subplots in order to advance further, add it to the list.